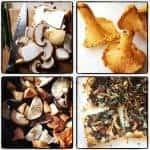 In the Bay Area, we are fortunate to have access to many mushrooms, like porcinis and chanterelles, that are difficult at best to cultivate and instead require the skilled eye, scientific mind and local knowledge of the expert forager. Luckily, during the peak of the mushroom season, only a trip to the farmers market is required. 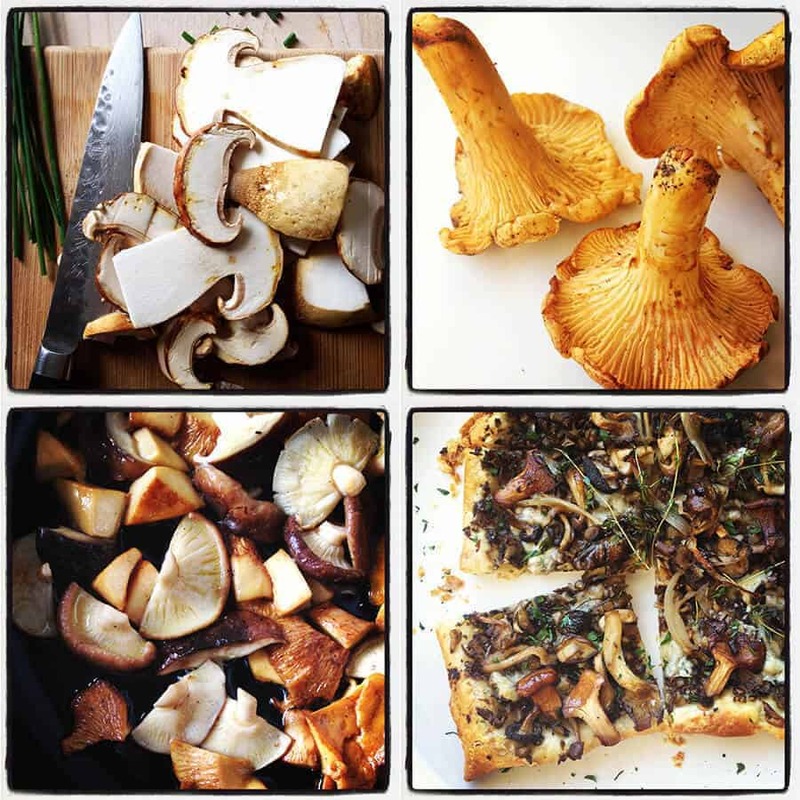 This recipe is inspired by the mushroom pizza from Piccino restaurant. It has a mushroom base with extra on top, which makes this a fungi nirvana flatbread. 2. If your mushrooms are dirty, wipe them with a damp paper towel. 3. If using larger mushrooms, tear or cut them into medium-sized pieces. If using smaller mushrooms, leave whole. 4. In a large fry pan over medium-high heat, melt butter and olive oil. Add the mush- rooms and shallots and toss with butter and then spread into a single layer and leave undisturbed for a couple of minutes until they start to brown. Add the garlic and thyme, and give the mushrooms a toss. 5. Continue to cook for about 6 minutes, stirring occasionally. Most of the moisture from the mushrooms should evaporate, and the mushrooms should be golden brown. Add a splash of wine to deglaze the pan. Once the wine evaporates, season to taste with salt and pepper. 6. In a food processor, pulse half the mushrooms until coarsely chopped. If the mixture seems dry, add a splash of olive oil. 7. Unfold the sheet of puff pastry onto a sheet of parchment paper. Leaving a ½-inch border, spread the chopped mushroom mixture evenly across the top of the pastry. Top with cheese, then add the remaining whole mushrooms and shallots on top of the cheese. 8. Bake at 400° for 25 minutes, or until pastry is crispy and golden. Sprinkle with parsley and serve.